In a turn of events no one could possible have foreseen, Darren Aronofsky—a man who dresses like an important director, and also happens to be one—and actress Jennifer Lawrence have called it quits after a year of dating. 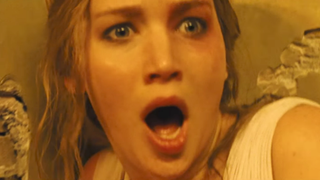 Lawrence, 27, and Aronofsky, 48, began dating in September, just after collaborating on the film Mother! (Aronofsky directed, Lawrence starred), which the New York Times’ A.O. Scott called “a hoot!” but most critics hated, and it didn’t draw audiences either. The Observer called it “the worst movie of the year, maybe century,” but that’s practically a rave in my book. Anyway, a source told Entertainment Tonight that the split, which technically occurred about a month ago, was amicable, and did not hint as to whether Mother! had anything to do with it. Then Jennifer Lawrence walked her dog. Of course, these public disavowals are generally unhelpful and bland, but the bit about him and Schuman recording a song together, seemingly as evidence that he didn’t assault her, indicates, at the very least, a willful ignorance as to how coercion works when bodies, psyches, and careers are all at once at stake.